Surprise your little brother with this unique gift item and watch how excited he gets. 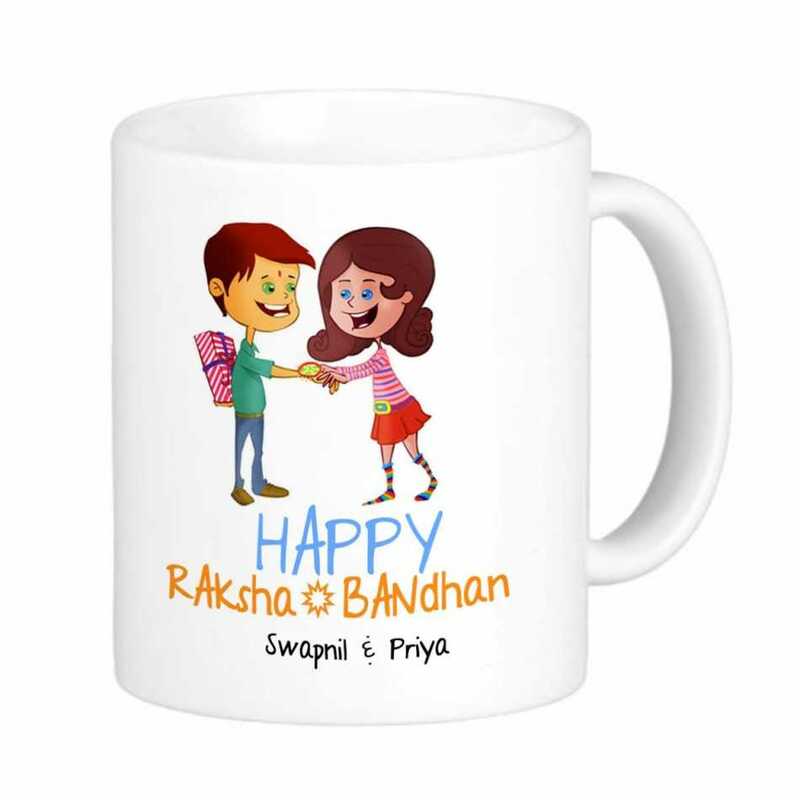 The personalized coffee mug portrays hilarious yet adorable cartoon images who are celebrating the special occasion of Raksha Bandhan. Truly amazing!